Ok, so this one was a bit tricky, seeing as I just shared 100 Things About Me... But, here goes. I didn't have my first kiss until I was already at university. I shop far more than I will admit to anyone. Regardless of the evidence in my bank statements. I cry during most romantic comedies. I blame it on allergies. I do a lot of creative writing, most of which I'm willing to let people peruse, but I'm slowly writing a novel that I won't let anyone see until I have a complete first draft. I Facebook stalk a lot. I listen to Christmas music throughout the year. I'm a HUGE Christmas geek. I watch Breakfast at Tiffany's when it rains. When I'm alone for the evening, I usually end up cranking the music up, singing at the top of my voice and dancing around my apartment in my lingerie. I write a lot of letters. I usually don't send them. It's safer than sending highly emotional text messages or emails. I didn't have my first kiss till I was 18. Also #4 and #7 describe me perfectly! I joined the challenge :) Posts will go up every night at 7pm - www.GeeWhiskers.com! We have so much in common: the driving (much more interesting things to spend money on/good public transport); crying at chick flicks; being Christmas obsessed (I LOVE it); shopping too much; and enjoy creative writing! 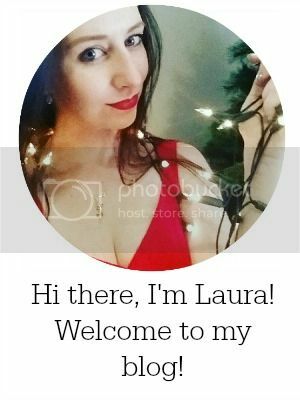 I'm glad to have joined in: these sorts of posts are so much fun :) Plus, getting to know things you have in common with your favourite bloggers is awesome!